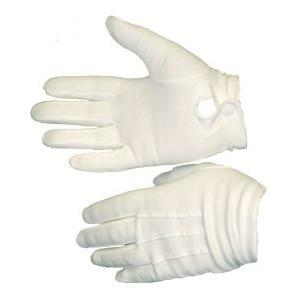 White cotton parade gloves are a must for special occasions and events in law enforcement and the military. 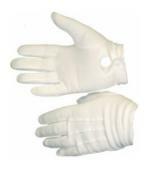 They're also great for directing traffic or crowds. Constructed of 100% medium weight cotton.